JLL, today announced an opportunity for real estate buyers to acquire a prime CBD conservation shophouse at 29 Stanley Street. The beautifully restored three storey conservation shophouse is located in the heart of the Central Business District (CBD). 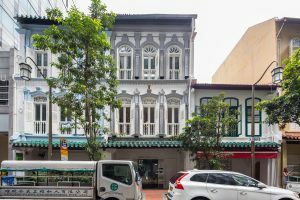 Nestled along the charming Stanley Street, the rime CBD conservation shophouse occupies a land area of 1,693 sf and has a gross floor area of approximately 6,500 sf. It has a tenure of 99-year leasehold w.e.f. 17 December 1990. Under the 2014 Master Plan, the site is zoned “Commercial” and is located within the Telok Ayer Conservation Area. The prime CBD conservation shophouse is approved for food and beverage (F&B) use on the ground floor and office use on the upper floors. The unit comes with excellent specifications such as generous ceiling height, concrete flooring and a regular, efficient and column-free layout. Having full length windows spanning the front of the shophouse coupled with the presence of an airwell, the shophouse benefits from good natural lighting. The building has a beautifully conserved façade covered with exquisite ornamental details, decorative panels and intricate ceramic pieces. The prime CBD conservation shophouse is highly accessible and is within a short walk from Telok Ayer and Raffles Place MRT stations. Located within the CBD, the property is also easily accessible via major expressways including the Marina Coastal Expressway (MCE) and Central Expressway (CTE). Through the years, the Telok Ayer Conservation Area (comprising of Amoy Street, Boon Tat Street, Telok Ayer Street and Stanley Street etc) has flourished into a bustling F&B, entertainment and lifestyle destination due to its excellent CBD location and access to large surrounding catchment of working population. Whilst popular to the office crowd during lunch hours, the area instantly transforms into a vibrant dining and drinking destination by evening with the after-work crowds. On weekends, the area is popular amongst avid café-hoppers. Mr Clemence Lee, Associate Director, Capital Markets, JLL, said: “With the current limited supply of shophouses available for sale in the CBD, 29 Stanley Street offers investors and owner-occupiers a timely opportunity to acquire a trophy asset in the area. We expect strong interest from boutique real estate funds, local companies, family offices and high-net-worth individuals (HNWIs). The latest transactions for shophouses in the Telok Ayer Conservation Area includes 77 Amoy Street which was reported transacted at $25 million ($3,500 psf approx.) in March 2018 and 75 Amoy Street which was reported transacted at $18 million ($3,900 psf approx.) in February 2018. The indicative guide price for 29 Stanley Street is in the region of $15 million reflecting around $2,300 psf on GFA. As the property sits on land zoned for commercial use, foreigners are eligible to purchase the prime CBD conservation shophouse. There is also no Additional Buyer’s Stamp Duty (ABSD) or Seller’s Stamp Duty (SSD) imposed on the purchase of the property. 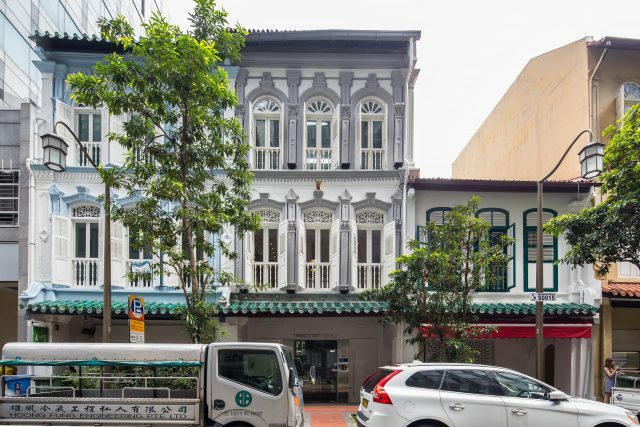 The prime CBD conservation shophouse will be marketed through an Expression of Interest exercise which closes on Wednesday, 12 September 2018, at 3pm. Are planning to purchase a prime CBD conservation shophouse but unsure of funding? Don’t worry because iCompareLoan mortgage brokers can set you up on a path that can get you a commercial loan in a quick and seamless manner.